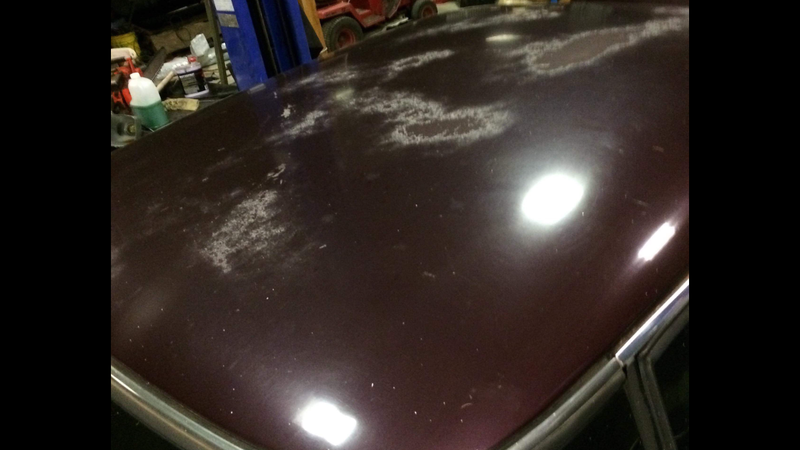 Discussion in 'General' started by jayk, May 1, 2012.
can you sand back a car with any sander and what sand paper is best to sand back the car ???? Above link is broken. Anyone confirm that it is ok to cut and buff one week old acrylic? Looking online and there are various opinions. I spoke to a bloke who used to restore cars and he said it is fine. Most threads on different forums in the US seemed to say it is ok but some people say not to do it. Where others say as long as you don't wax it, it's ok? Would really like to hear from a bloke who does it for a living. I buffed my 6 day old acrylic today and it all went fine just I had a little issue where I worked it a bit too hard and now I need to respray at 70mm x 70mm patch where it cut in to the paint, meaning I had to wet rub to get it smooth. Details on how you went about sanding? 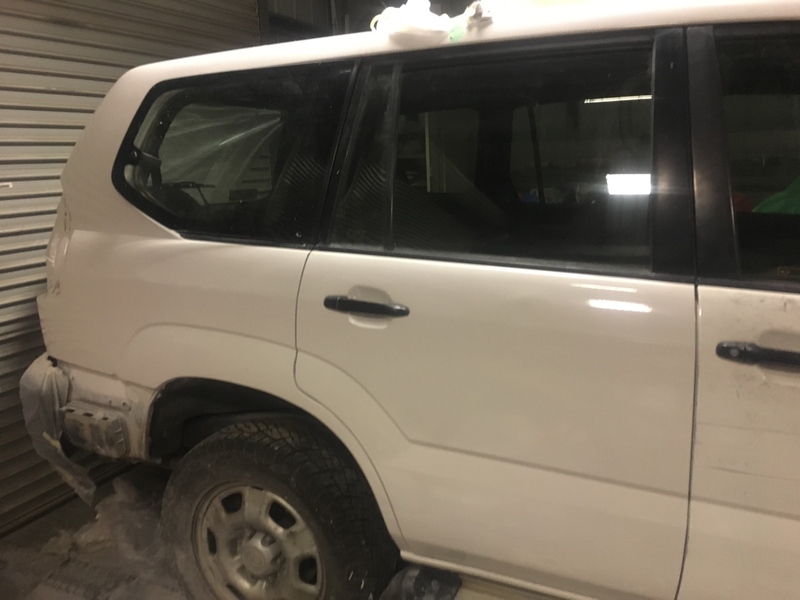 Yes you can sand/buff it within 24 hours if the temp is right, but low temp means it takes longer for the solvents to evaporate. BUT, the longer you leave it, the better. If you can push your fingernail into the paint and it leaves an impression, it's too soft to sand. If you've rubbed through the clear with little effort and with appropriate paper, then your paint application was too thin. 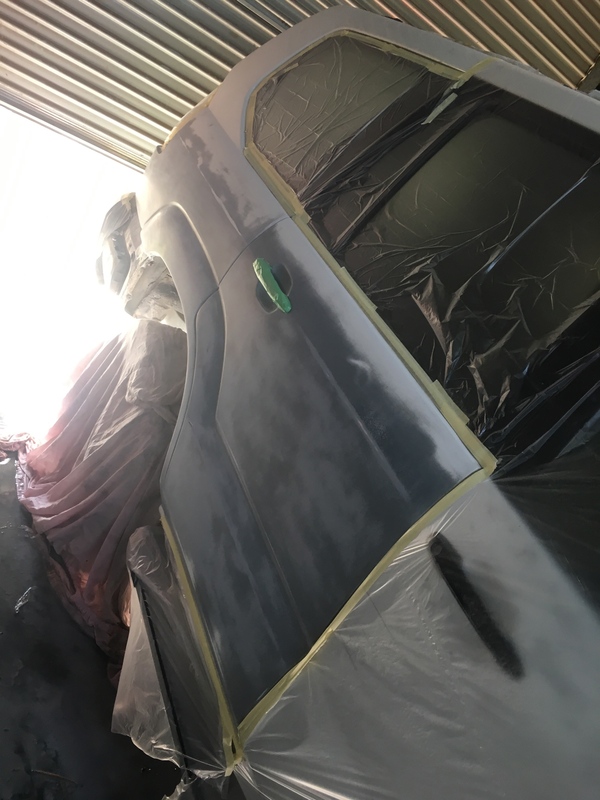 I like to do at least 3 medium coats and one wet coat to ensure that there's enough material on the panel so you wont rub or buff though it. Here's one I painted last week. No clear coats and I don't plan on putting any. It sanded fine with 1200. I was working the edge up near the windscreen and held it in the one spot too long and it softened the new paint. I had to wet rub it with 800 to remove the paint that had curled up. 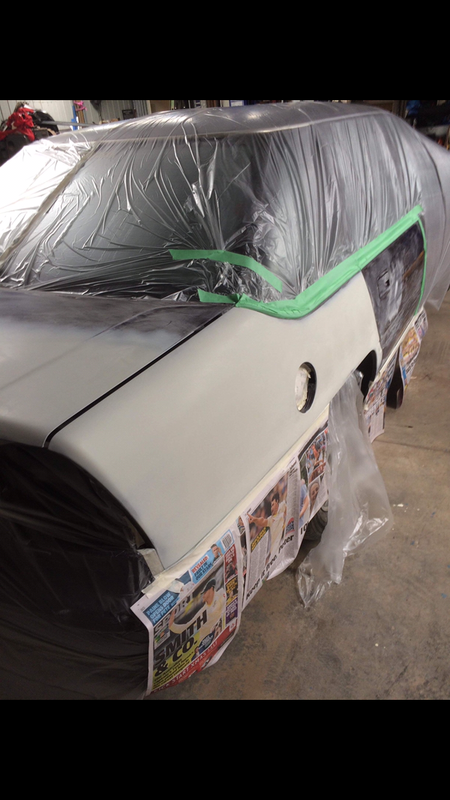 I haven't hit primer yet but the paint is no longer thick enough. I tried the fingernail trick and it was fine. I was just a bit unsure if should tackle the roof tomorrow or if I need to wait another week. 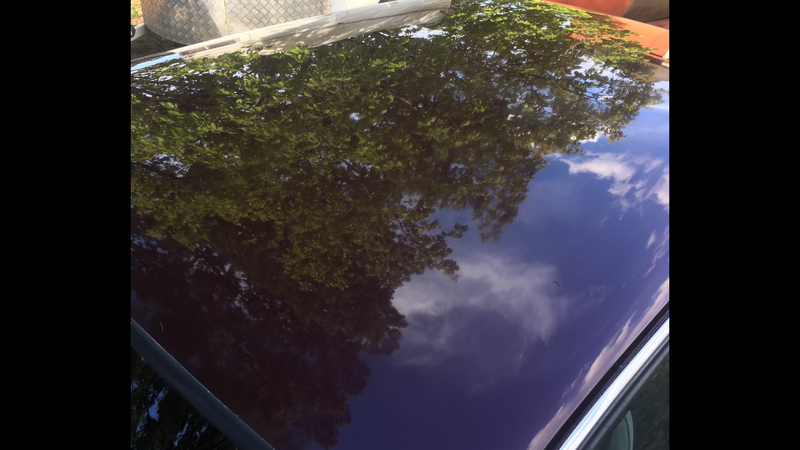 I'm thinking I just worked the one area too hard and possibly should have just worked it a little and finished the edge near the windscreen with a buffing cloth and not the polisher. I was more trying to figure out if the issue was me working one spot too hard or if the paint was too soft regardless? If it is the latter then I really should leave the roof for another week and just buff the sides and tailgate. The rest of the fresh paint on the bonnet was fine, so I'm just a tad unsure whether I need to wait. Can't see the pics are they hosted or uploaded straight to JC? Can see pics now. Looks good did you use two pack or acrylic? They're hosted but looking fine for me. In the pics I've posted I've just used a solid acrylic white. 1200 is too harsh imo. I always go 1500 on a soft block with PLENTY of water, then do the same with 2000 w/d. After 2000g it polishes up very quickly. 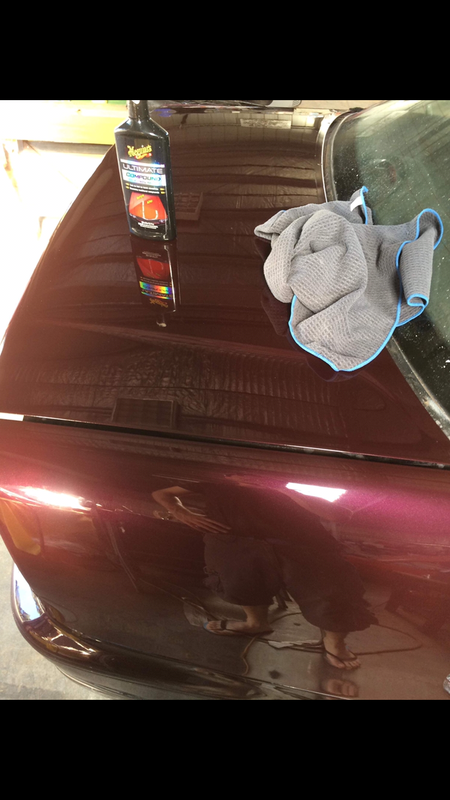 It's REALLY easy to heat the paint up too much with a polisher - never hold the polisher in the one spot. Acrylic really doesn't handle extreme temps very well. You shouldn't need to use pressure either, the weight of the polisher is more than enough. Let the polisher do the work for you. Thanks EYY. Sounds like it was error on my part holding the sander in the one spot too long. Hold up, so you're actually using a sander, not a polisher? No variable speed polisher I have seen it called a sander as well as polisher. It has enough settings to use it as a grinder so guess that is why Bunnings call it a sander. I was using a wool pad but am going to buy a foam pad tomorrow. I heard they work better. 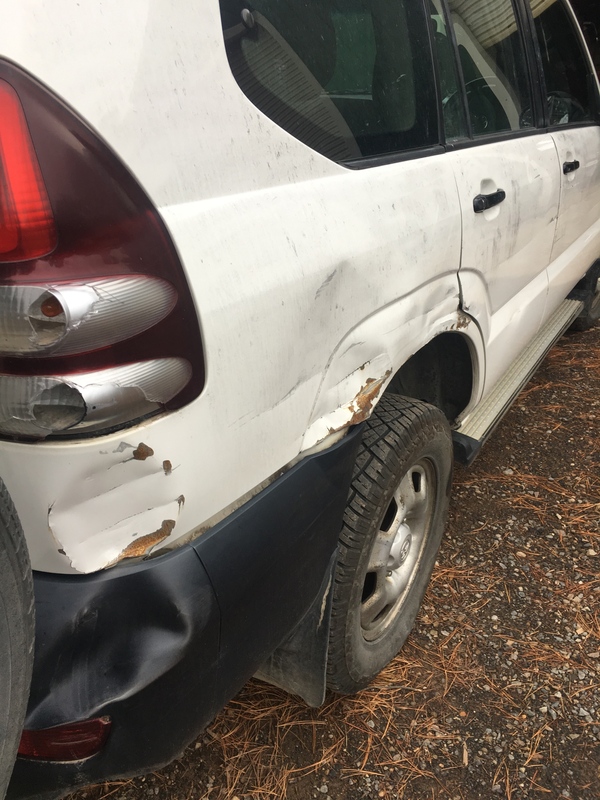 Plus I had issues with the wool pad getting snagged on panel gaps and corners and it was destroyed just before i finished the left front guard, because the cord got caught and ripped the sticking. Yeah so just hand sand wet with 1500 then 2000, then use a cutting compound. You can use a firm (usually orange) pad then step to the wool when doing final polishing, or go to the black polishing pad. Most of the time i just use the wool though. Doesn't give me any issues. For 2 pack I use the orange pad because it's so much harder. Don't wax for a couple of months. 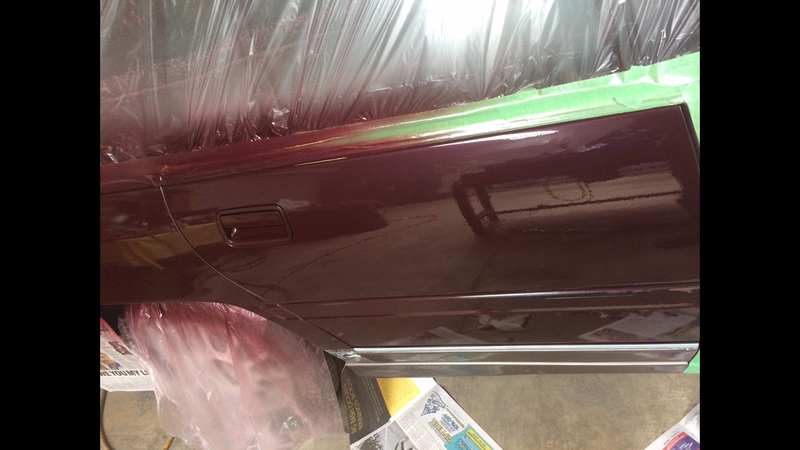 Paint has pores which allow off gassing, and waxing blocks them. Here's another one from a couple of months ago. this is how I got it off the gun. I blew lots of coats of really thinned out paint on the roof. Then i finished it off with a coat of straight thinners to get it melt together really well. The only time I've ever sprayed thinner like that is with fadeout thinner which effectively melts new paint into existing paint. But not something i'd be likely to bother with again unless I was working with 2 pack. I tend to mix it with only around 40-50% thinner and lay it on quite heavy for the last couple of coats which really cuts down on the amount of sanding/polishing I need to do. Sometimes you don't even need to sand - just polish if you get it to lay flat enough. I find the more thinner it has in it, the more quickly it dries, which isn't great on a warm day. And the more thinner, the less actual paint is being left on the surface after evaporation. Really need a 1.8 or 2mm tip for acrylics though.